This September's U.S. light vehicle sales were 27 percent below the September 2007 tally. DETROIT -- With three quarters of 2010 in the books, it's time to hazard a guess about how bad full-year U.S. sales will be. No one can say with any certainty what the next three months will bring. I say “how bad sales will be” because although they will be better than last year's horror, they will be miles away from what the industry considers normal. Calling on my crystal ball and Ouija board and 55 years of writing about new-car and light-truck sales, I'm looking at 11.5 million for all of 2010. Yeah, I know the seasonally adjusted annual rate was 12.2 million in September, but 12 million for the year just won't happen. It would take more than 1.1 million sales a month in October, November and December to reach 12 million, and no month this year has reached that total. The 11.5 million would be 10.2 percent better than 2009, but don't jump for joy. Last year was the worst for sales since 1982. I think 2007 is a better measuring rod. That was the last of nine consecutive 16-million-plus sales years. The industry then felt that 16 million was the norm for sales. The industry was in for a rude awakening. Sales in 2007 were 16.2 million. This year's guess of 11.5 million would be 29.0 percent below that. The U.S. auto industry is a long way from recovery. September deliveries of 959,049 were better than expected, but don't get carried away by the 29 percent increase over last year. September 2009 was the first month after the highly successful cash-for-clunkers incentive program and, naturally, sales were depressed. Coming back to Earth, September sales were 27 percent below the September 2007 tally. Import-badged vehicles accounted for 55 percent of the total, and the Detroit 3 had 45 percent. Each of the domestics reported a gain, but not enough to catch the foreign makes. Ford Motor Co.'s domestic makes were up a substantial 46 percent for the month, and each of the Chapter 11 twins posted a gain. Chrysler Group jumped 61 percent over an absolutely awful 2009, and GM's four surviving domestic makes were up 11 percent over last year's seven entries. 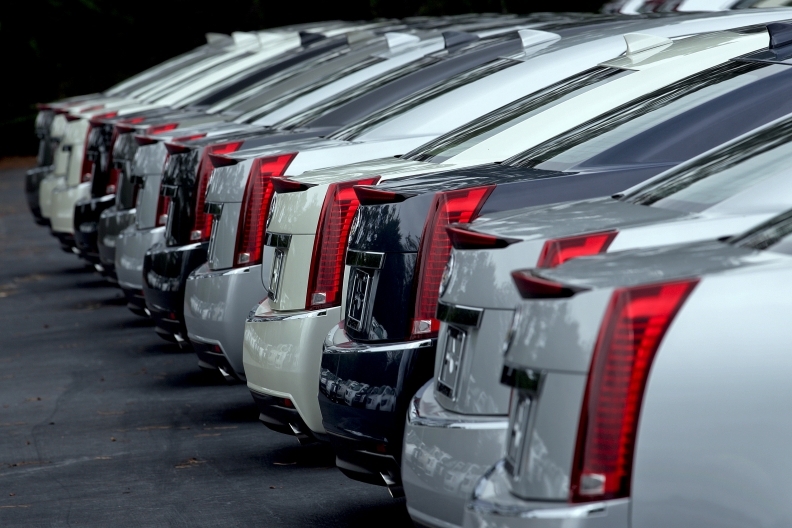 Chevrolet, Buick, Cadillac and GMC sales rose 23 percent. Market share for the Detroiters rose 1.4 percentage points. For nine months, imports held a 55 percent share, and the Detroit 3 had 45 percent, the same as in September, and the Detroit 3 gained 1.2 percentage points in market share. The nine-month total for the industry was 8,621,790, which was 10 percent better than in 2009 but 30 percent worse than in 2007. September advances for the top import groups were Hyundai-Kia Automotive, 44 percent; Nissan North America, 34 percent; American Honda Motor Co., 26 percent; and Toyota Motor Sales U.S.A., 17 percent. Among individual brands, the top three spots for the year seem to be pretty well decided: Ford, Chevrolet and Toyota. After nine months, Ford led second-place Chevrolet by about 128,000 sales, and Chevy was nearly 59,000 ahead of third-place Toyota.